The National Citizens Alliance believes that unity has the potential to be the greatest strength of our people and country. In addition, we believe that extreme diversity such as people practicing radical, extremist ideologies, weakens our people and country. Further, we believe that the federal government should require that new arrivals integrate into our economic, cultural, and social norms. As demonstrated by the European Union such as the ghettoization of European cities and spread of no-go-zones in them, increase in radical ideological terrorism, epidemic migrant rapes and sexual harassment, and increase strain on welfare systems that extreme multiculturalism and mass immigration are failures. The traditional and founding Canadian English, French, and Aboriginal cultures need to be protected and enhanced, or these cultures will be eliminated by new arrivals with high birth rates and high immigration rates into the country and who practice cultures and ways of life antagonistic to the founding peoples. 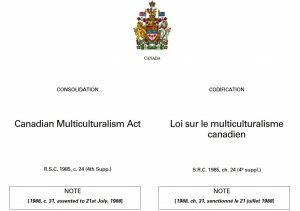 As it stands the Canadian Multiculturalism Act (1988) aims to protect and enhance non-traditional cultures, and thereby make Canada even more multicultural. 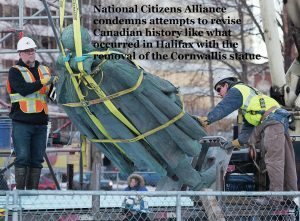 The National Citizens Alliance believes that this multicultural agenda is tied to a globalist agenda that seeks to control Canadians through division and decay of national sentiments, and ultimately turn Canada into a globalist village with no distinct identity, heritage, cultural norms. Although the National Citizens Alliance supports the right of all Canadian’s to believe and value what they choose to believe and value, and we recognize value in different cultures, we as a party support protecting and enhancing the foundations of our country. These foundations are rooted in the English, French, and Aboriginal identities, heritages, and cultural norms. We will work with any party that shares our vision for Canada. The Rescind Multiculturalism Act policy statement requires a vote of the NCA membership to be adopted. A minimum 70 percent voting membership must support the policy and with a 50 percent quorum of voting membership as per the NCA Constitution (2014).